Lucie Winterson lives and works in east London. 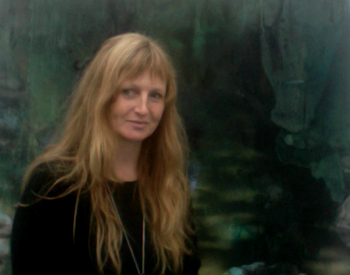 She works from her studio in Hackney and in the landscape. 2015/16 TRELEX Residency Amazon. One month residency, Peruvian Rainforest at the Tambopata Research Centre within uninhabited wilderness. Bucks Mills on the Atlantic Coast, Devon. 2014/15 Flowers Gallery, New York. ‘Small is Beautiful’. 2014 ‘Land and its intimate parts’. to workshop ideas and collaborations. poet John Clare. ‘John Clare in Space’. Oxford Brookes University. Paper: ‘Doubling light, John Clare and the layering of vision in my painting‘. Mary Ward Adult Education Centre, London. Courses: Inspired by Land and Landscape and Creative Watercolour. Modern Radical Watercolour and Land Art Courses UK, Belgium and Germany.